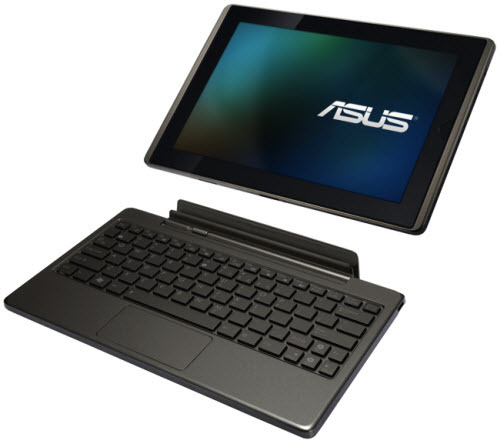 ASUS recently launched 4 powerful tablets at the CES 2010 in Las Vegas. 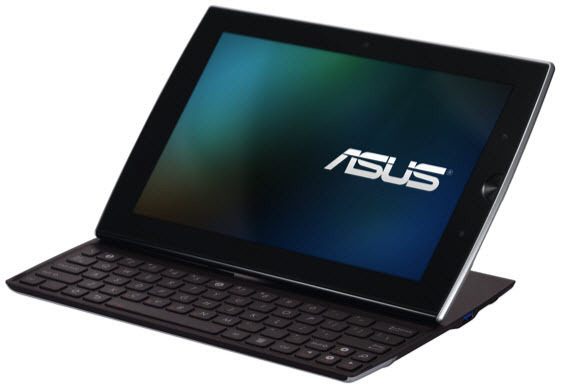 ASUS Eee Pad Slider, Eee Pad Transformer and Eee Pad MeMO are powered by the Android 3.0 (Honeycomb) operating system. On the other hand, ASUS Eee Slate EP121 is based on the Windows 7 Home Premium operating system. 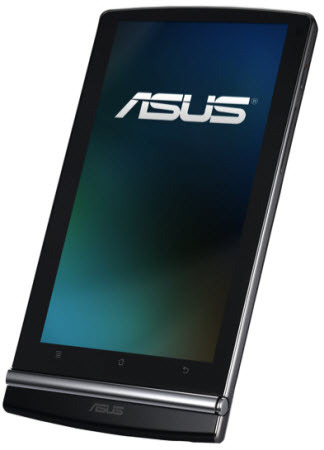 The ASUS tablets can deliver a full multimedia experience with HD video, broad connectivity options along with standards like Adobe Flash. ASUS Eee Pad Slider is a unique device that works as a tablet as well as a traditional notebook. It features a 10.1 inch IPS touch screen display, slide-out QWERTY keyboard, NVIDIA Tegra 2 dual core processor, Android 3.0 (Honeycomb) operating system, NVIDIA GeForce GPU, 5 megapixel rear camera, 1.2 megapixel front facing camera, 3G connectivity and so on. ASUS Eee Pad Transformer comes with a 10.1 capacitive touchscreen display, NVIDIA Tegra 2 chipset, Android 3.0 (Honeycomb) operating system, QWERTY keyboard for desktop use, 5 megapixel rear camera, 1.2 megapixel front facing camera, productivity applications, HD video conferencing and playback, Adobe Flash support, built-in mini-HDMI port, full HD (1080p) video playback and 16 hours battery life. ASUS Eee Pad MeMO features a 7.1 inch capacitive touchscreen display, Android 3.0 (Honeycomb) operating system, Micro HDMI port, full HD (1080p) video playback and more. ASUS Eee Pad MeMO can be used for taking handwritten notes using the supplied stylus pen. You can also connect his device to an external display using the Micro HDMI port. ASUS Eee Slate EP121 comes with a 12.1 inch LED backlit display with a 1280 x 800 pixels resolution, Intel Core i5 dual core processor, Windows 7 Home Premium OS, wide 178° viewing angle, Wi-Fi, Bluetooth 3.0, 2 megapixel camera, 2 USB 2.0 ports, mini-HDMI port, on-screen keyboard, support for external Bluetooth keyboard, 32GB/64GB of SSD storage and up to 4GB of DDR3 RAM. 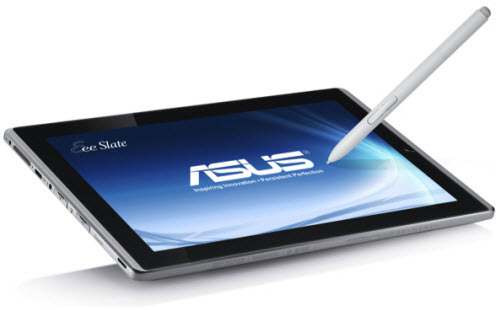 ASUS Eee Slate EP121 is one of their eight products to be selected for a CES 2011 Innovations Award. Eee Slate EP121 will be available from this month. Eee Pad Transformer will arrive in April, followed by the Eee Pad Slider in May and Eee Pad MeMO in June. These price of these devices start from $999, $399, $499 and $499 respectively. Check out the pics of these devices below.